You probably won't see this on the Gravel Grinder News and I doubt it will attract any Alley Catters, but it's definitely an attractive Gravel Grinder Ride that I would love to do because it encompasses many of the Rail Trails that I have yet to ride on the other side of the State. 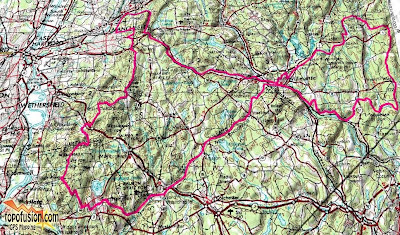 Check out the details on the Detour de Connecticut blog. 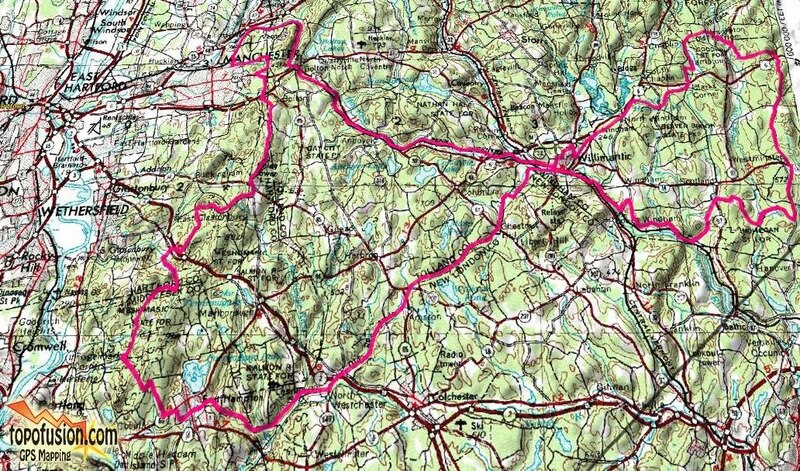 The route vaguely looks like a bow tie and is approximately 112 miles long. While it doesn't look like a lot of climbing the overall cumulative elevation gain, according to Topofusion is 7,700 feet. The cool thing about the design of this ride is if you couldn't ride the day of the event or didn't have the time to do the whole thing you could do it in parts, which with my schedule is the only way I might be able to do it.